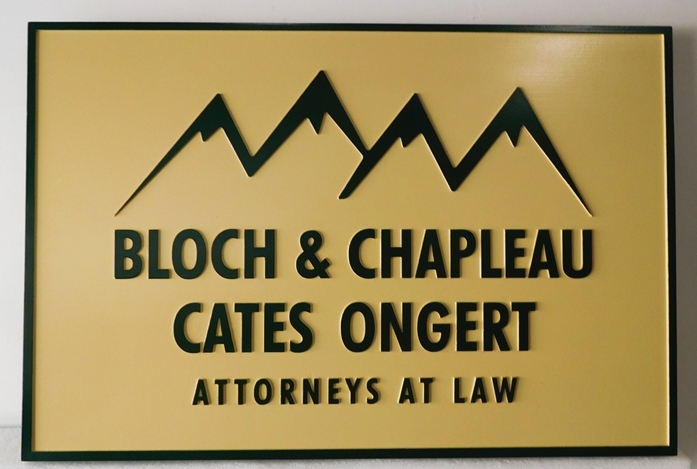 The above carved, HDU sign "Attorneys At Law" features a stylized mountain view. against a soft, gold, silver and black background. The text, mountains and borders are carved in 21/2 D (raised) relief. The paints used are automotive-grade, highest-quality Matthews paints. Finally, the sign was completed with two applications of highest-quality Matthews clear coat for added durability and UV protection.